Designing our living room with care and planning the bedroom décor with attention is a common practise among most people. But how much thought do we give to that frequently underrated room called the bathroom? Generally accorded last priority, bathroom décor often lacks style and is designed primarily with functionality in mind. 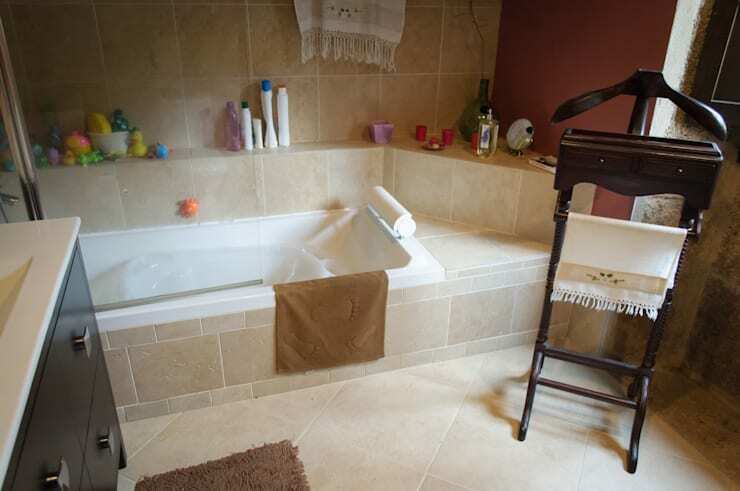 However, the bathroom is an essential feature of every home, a place where we wash away the cares and stress of the day. Therefore, it must be designed to relax and invigorate. Today we bring to you five bathrooms that have been renovated to meld style with practicality. Be it a fresh lick of paint, new accessories, or a different layout, let’s have a look at how each aspect makes a huge difference to bathroom décor. 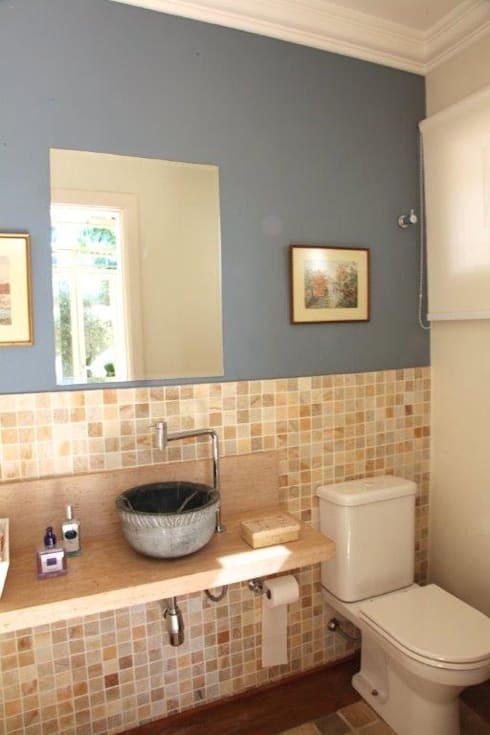 This small, old bathroom on the left side looks cramped and the layout has not been properly planned. 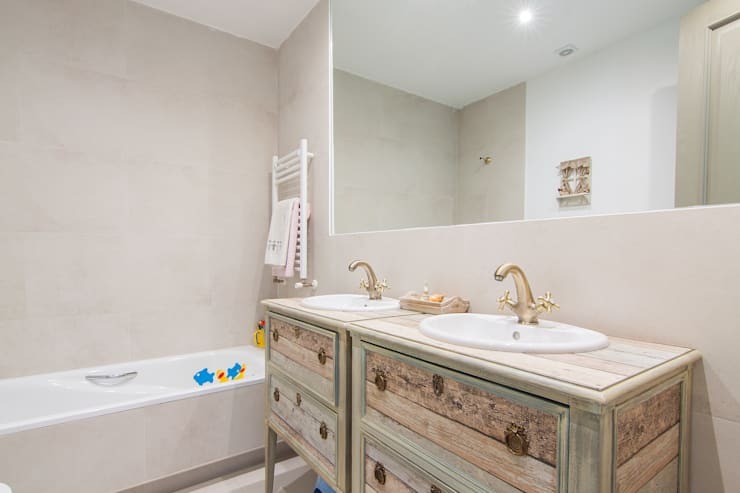 The close proximity between the bathtub, toilet, bidet and washbasin looks aesthetically unappealing and unsanitary. A makeover was very much needed! 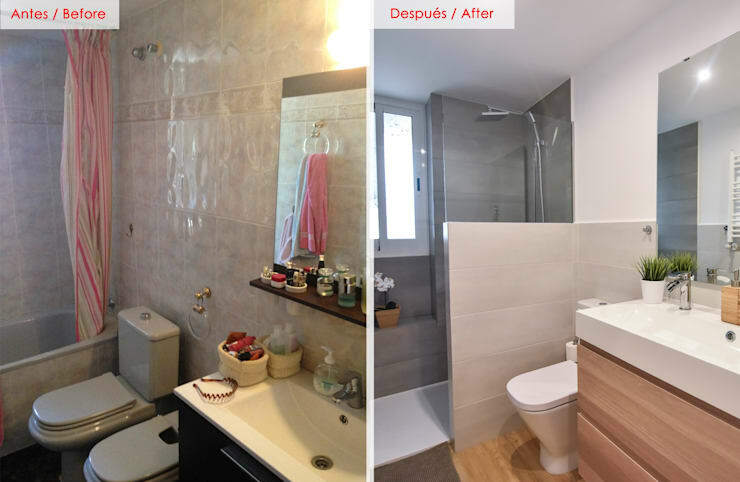 On the right side, the remodelled modern bathroom portrays a statement of style. 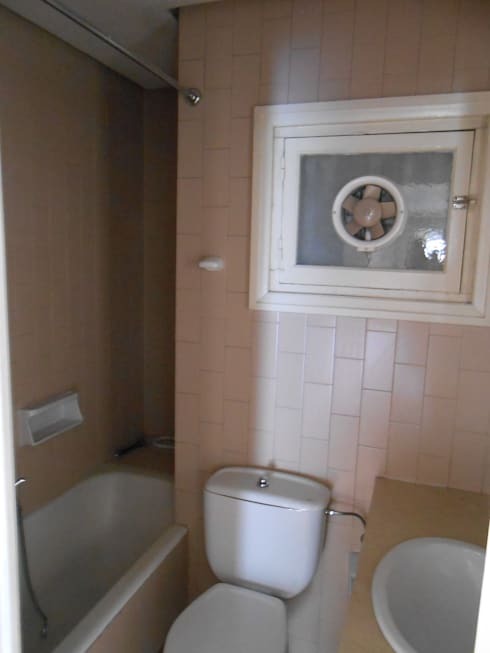 A neat and elegant Italian-style shower cubicle has replaced the bathtub, the bidet has been relocated, and the sanitary ware and accessories have been given trendy replacements. The new colour palette, flooring and large mirror further enhance the décor for a contemporary and spacious look. The old bathroom was on the verge of collapse with crumbling walls and a disintegrating roof. Let’s see how it was remodelled! The team of architects have retained the rustic character of the Spanish house with the use of warm brown hues and wooden furniture. The ledge around the stylish bathtub is a great idea for storage! 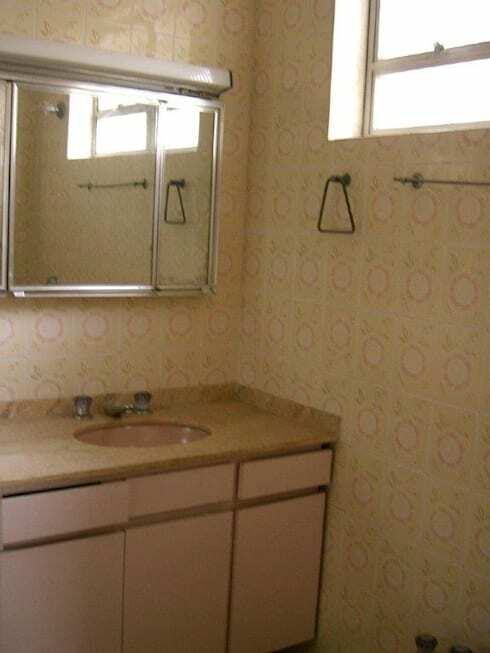 This old-fashioned bathroom looks dull and lifeless. The wallpaper is outdated and has turned yellow with age. The classy wooden countertop and the trendy washbasin combines seamlessly with the striking mosaic wall and the solid blue section above. The cabinets have been removed to promote ventilation and a sense of spaciousness. 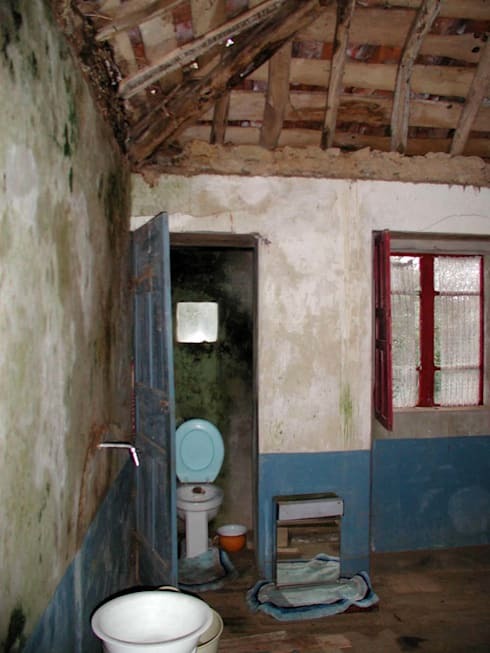 What a dismal bathroom! The layout is cramped and the space is not properly utilised, with an unnecessary dark corner behind the bathtub. The space has been properly utilised with the use of white as the predominant colour, which enhances the feeling of spaciousness. The large mirror gives a modern and stylish touch while the washbasin has a vintage appeal. We also love the colourful fish on the bathtub, perfect for a family bathroom! Take a look at few more ideas that might interest you - 6 design hacks for a stunning bathroom!